Where is my add-apt-repository in Ubuntu Server LTS 12.04 ? Yes, where is it ? So, you are using the latest stable and supported LTS server distribution from Ubuntu. 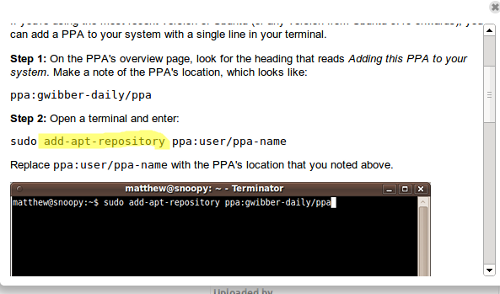 And it doesn’t install the package to simplify the management of PPA repositories (Personal Package Archives). The de facto Ubuntu repository for all people. address and I'll consider other builds if there is demand. I hope this will help you like it helped me!